The 54th GGBS delegation to Kruševo took place from November 30 to December 4, 2007. Our president Ursula Weiss visited our partner region to participate at the official closing event of the 2nd Common Project of the four local women's associations OŽOK, CVET, HORIZONT and OŽOŽ. 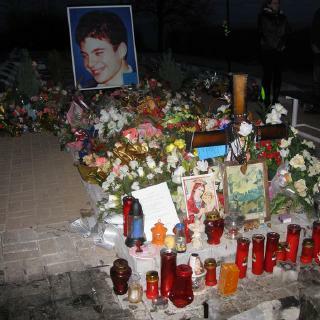 In addition, Ursula's visit was the first after the tragic death of the young and famous singer from Kruševo, Toše Proeski - an deadly accident which without doubt will leave a durable imprint on this town. In our picture gallery you can find the photos which Ursula has brought back from her trip.